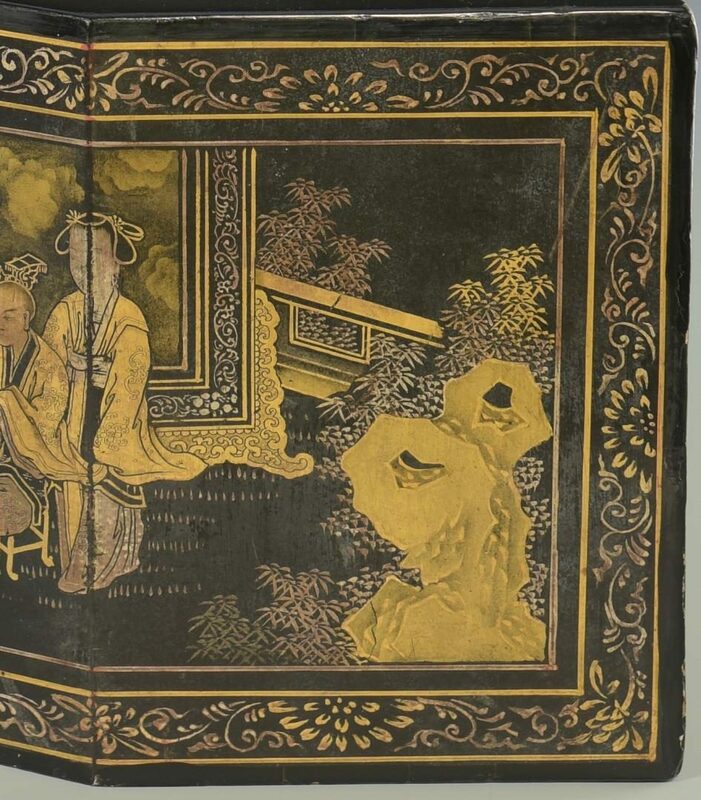 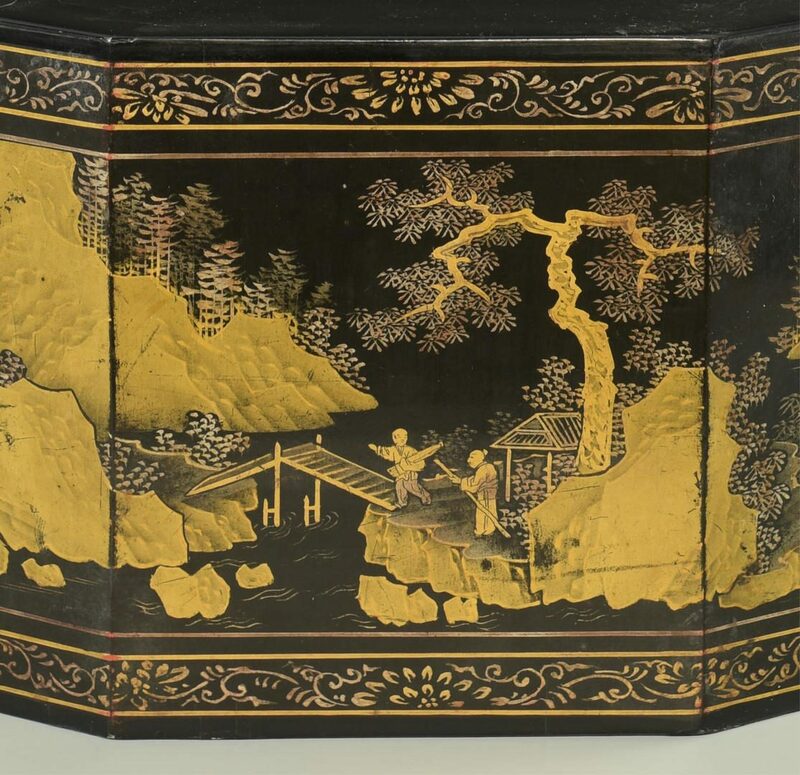 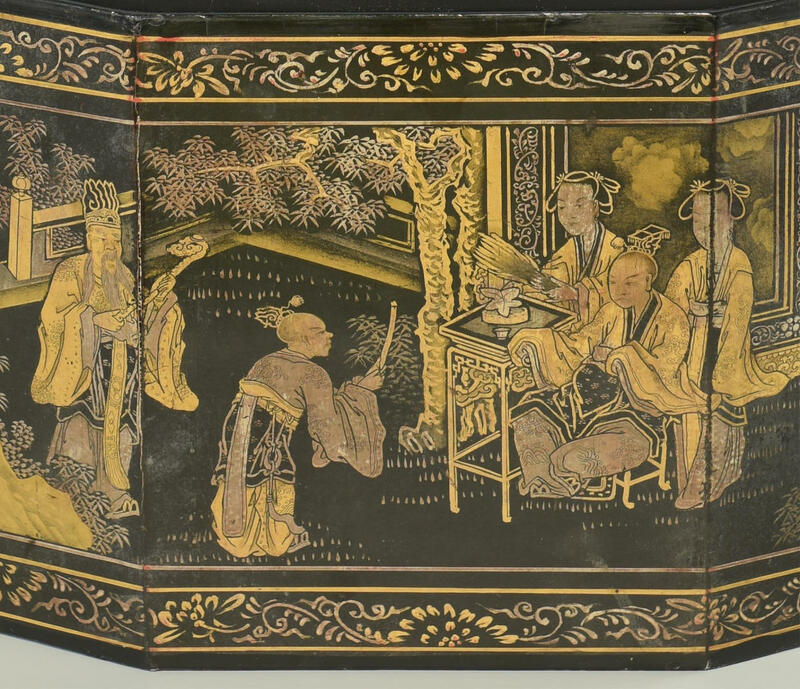 Chinese lacquer table ornament or tableau. 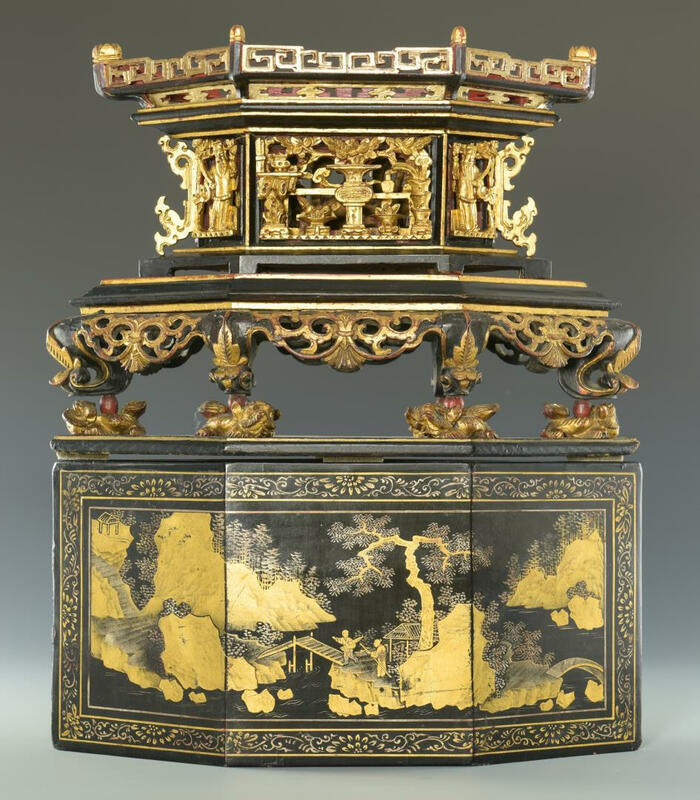 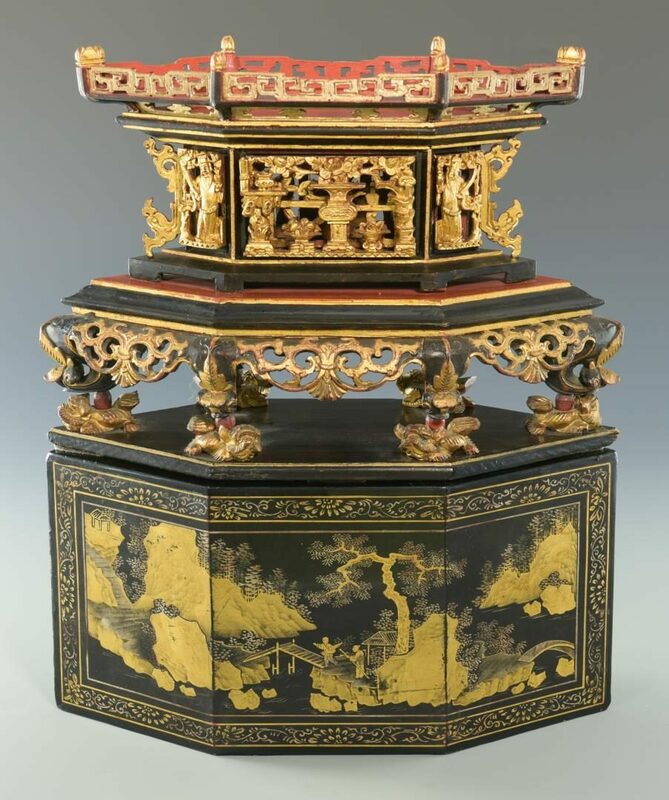 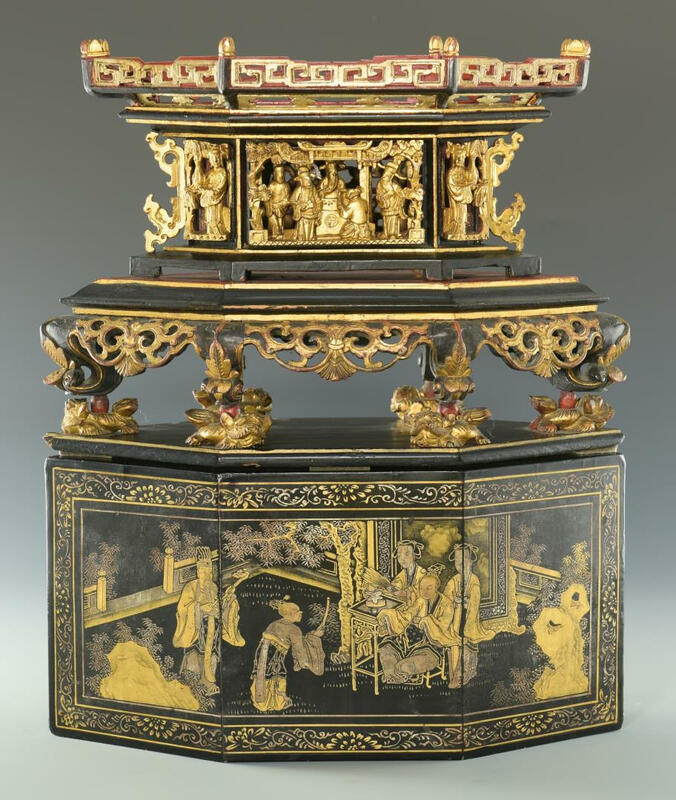 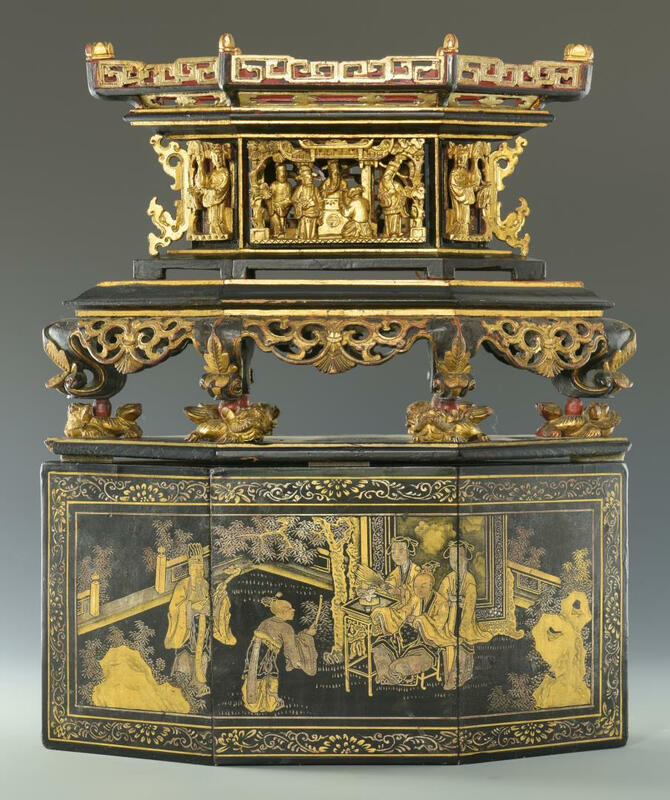 Six sided cover decorated with a gilt-painted court scene lifts to reveal carved, gilded figures in a court setting, set atop a gilt and ebonized tier with pierced openwork scroll design at apron, all supported on six carved figural foo lion feet mounted to a six-sided base. 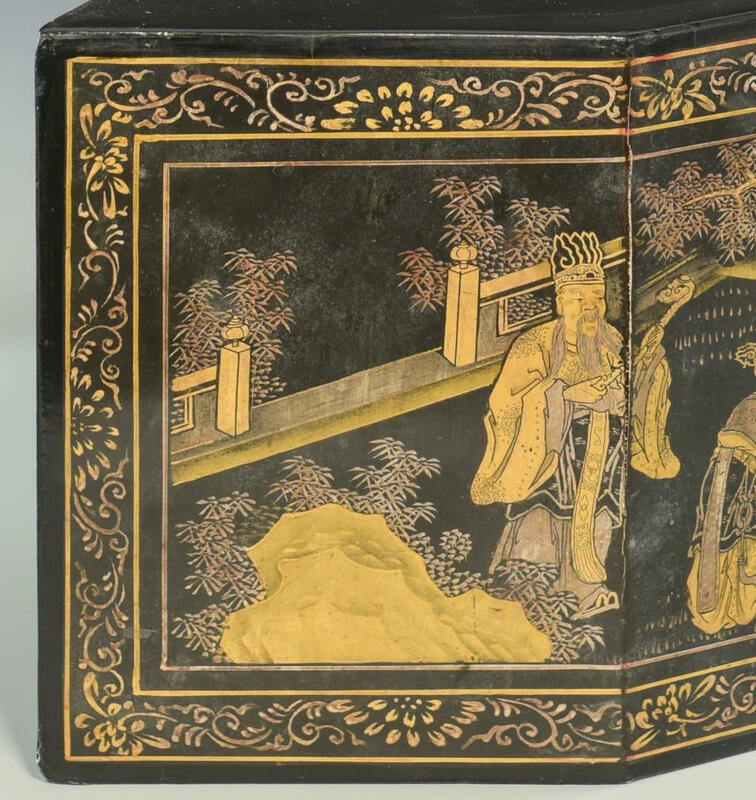 10 1/2" H x 13 1/4" W x 5 1/2" D. Early 20th century. 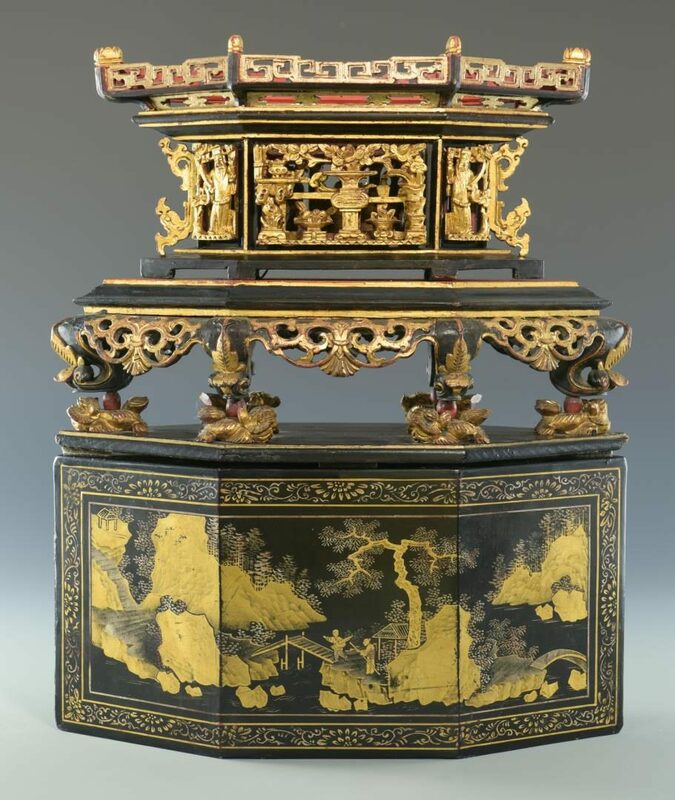 CONDITION: Overall good condition with some small areas of repaint, light wear to some gilded areas and edges, a few fine hairlines to lacquer cover on top.